In this guest post from Progressions Director Julie Rinard, she recounts how eager her students were to begin their instrument training on recorder. Forty-nine kids attended the Progressions Summer Music Camp. 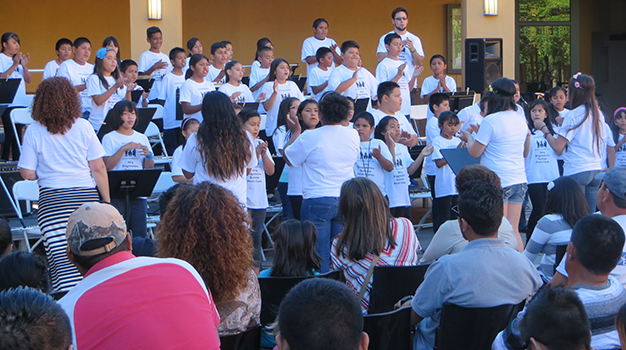 Of those 49 kids, 27 signed up for the weekly music classes in July and August. The environment for the classes was relaxed, an opportunity to get to know students better and enjoy spending time together. The first portion of class was dedicated to bucket drumming. 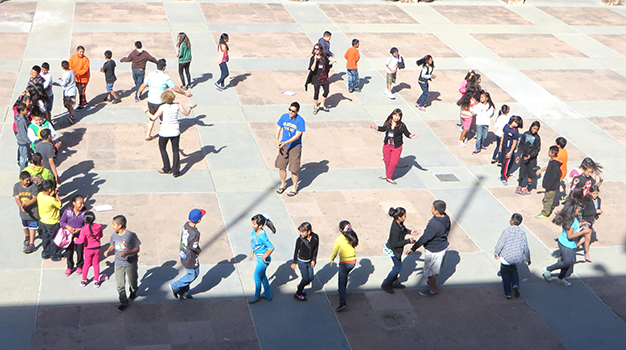 We did simple patterns, and gave the kids opportunities to come up with their own when they were ready. They loved the concentration that was required, and enjoyed the challenge of having to remember increasingly long phrases. I especially enjoyed getting everyone to hear where the rests went. This was the ultimate in teamwork. A couple students learned to play the first section of the song by ear. They asked me to write it down, so I hand notated the first two sections for the next class. Still they wanted more. The next week, I wrote some of the notes on staff paper with the words underneath, but I got distracted in the middle of notating the melody then ran out of time. Irritated with myself, I took my unfinished project and made enough copies for everyone, deciding to turn this foible into an opportunity. For the kids who were still getting comfortable with reading music, I directed them to learn to play the first section on the recorder for the next class. For the kids who had already gotten this, I told them their job was to: a) figure out how to play the rest of the song on the recorder and b) figure out how to notate the melody. To my surprise (and delight), one student met my challenge! On the last day of class she played the entire rendition of “When I Close My Eyes” for me while reading it from her notated version! She has developed a strong ear and can now translate that into the language of music, something we only wish every child could do. This girl and her brother signed up for Camp at the very last minute. I called the mom multiple times encouraging her to sign the kids up; I spoke to both kids about camp every time I saw them; I reminded them that scholarships were available. The mother came forward the day before camp started (literally) with an apologetic look and $10. “Would this be enough?” she asked. I believe that was the best $10 investment she made all year. Learn more about the Progressions initiative by visiting the Progressions page on our site. 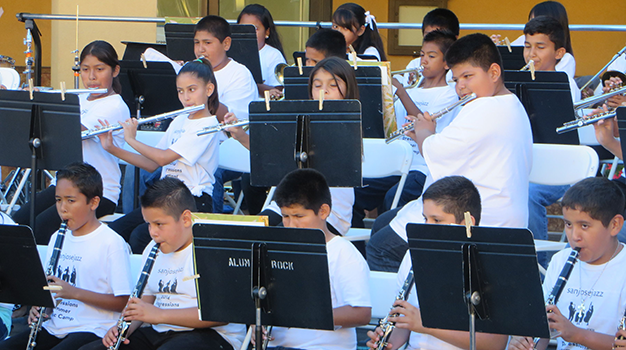 You can also contribute to this growing program by donating your unused musical instrument. 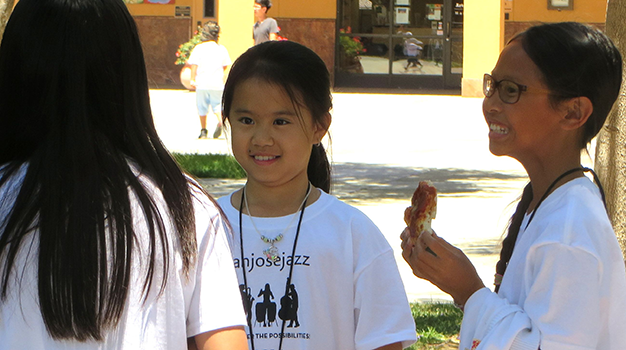 Donate today by emailing instruments@sanjosejazz.org or find out more by visiting our donations page.